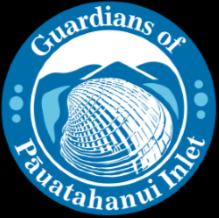 On Sunday 18 November around 70 volunteers turned up to help with the clean-up, organised as usual by the Guardians of the Pauatahanui Inlet on a day with rain forecast. The previous day, Michael Parker and Phillip Reidy had determined the best location for the flags at the seventeen collection points from which PCC would take away the rubbish collected. Fortunately, the weather defied the forecast and the clean up was completed successfully by lunchtime. While the clean up was in progress Ian and Terrie Turner were busy setting up the Toyota barbeque trailer and cooking the sausages very kindly provided by New World Mana. The classic sausage sizzle was enjoyed by almost all the volunteers and the odd others who drifted in. As well as sausages the team provided tea, coffee water, and fruit juice so lunch time was reasonably busy. The rubbish collection was not huge which is a promising sign for the Inlet. Original generation time 1.5390 seconds. Cache Loaded in: 0.0004 seconds.